Great value. 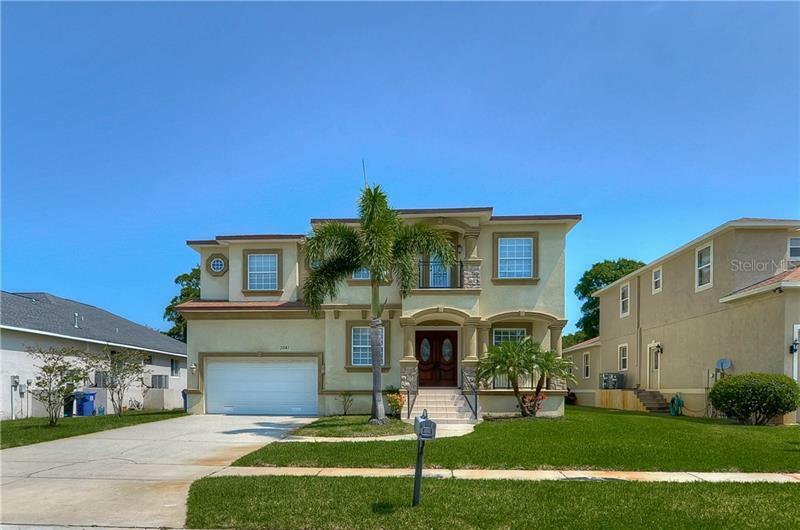 Newer townhome centrally located in Clearwater Fl. Sunset Point Townhomes is a newer community with a lot to offer. This well-kept community features assigned parking, plenty of guest parking, a beautiful community pool, a playground for the little ones, and is pet-friendly. This townhome features a split plan 2 bedrooms, 1 1/2 bath with upstairs laundry room. Downstairs has a large living room/dining room combination and screened patio. All new flooring with laminate downstairs and carpet upstairs, freshly painted and ready for its new owner. This home is priced to sell so if you're looking for your first home, a vacation getaway, or anywhere in between. Sunset Pointe Townhomes is a well-maintained, pet-friendly community that offers many amenities including a community pool, playground, basic cable and Internet at a low cost. Conveniently close to area restaurants, shopping, entertainment, medical facilities and within minutes to Florida’s best beaches. No Flood Zone. Non-Evacuation Zone. VA and FHA loans welcome. Call today to schedule your private showing.